To celebrate the release of Ronda Rousey’s Mile 22; MiddleEasy decided to peer back and reminisce at some of the trashiest movies ever conceived that starred high profile MMA fighters. 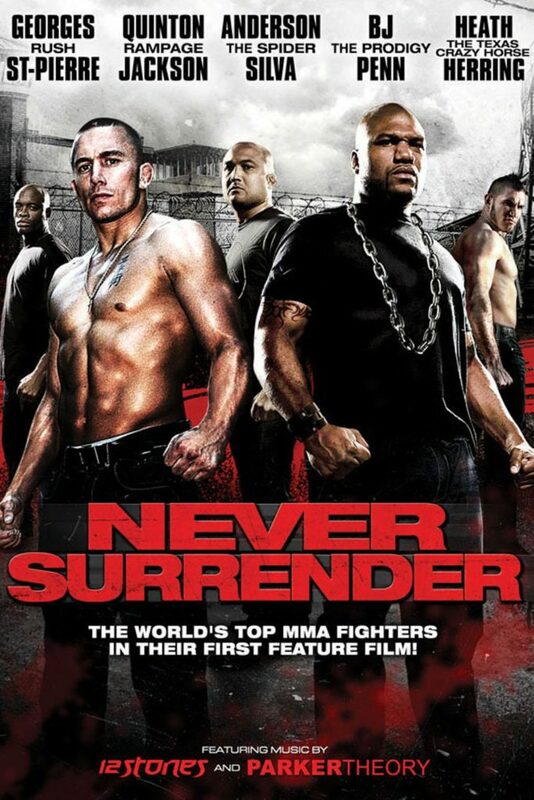 For fairness, we’re excluding movies where MMA fighters played a small or supporting role. Some of these cinematography spectacles are actually watchable, others will make you feel physically ill after just watching the trailer alone. All the trailers have been included at the bottom for your viewing pleasure. Let us know which one you think is the worst. Holding a mighty 2/10 on IMDB.com. Attila stars “UFC Champion” Cheick Kongo who elegantly plays the part of a resurrected Attila the Hun; who is brought back to life with a wicked vengeance when his riches are stolen; Kongo must have got his UFC belt from the same place he won the Oscar for actor of the year. This movie epitomises everything that is bad about cinema; with cheesy dialogue, a stupid story & God awful acting. The trailer is below if you want to check it out. This is one of the few critically acclaimed movies on the list; with a 5.1/10 on IMDB. 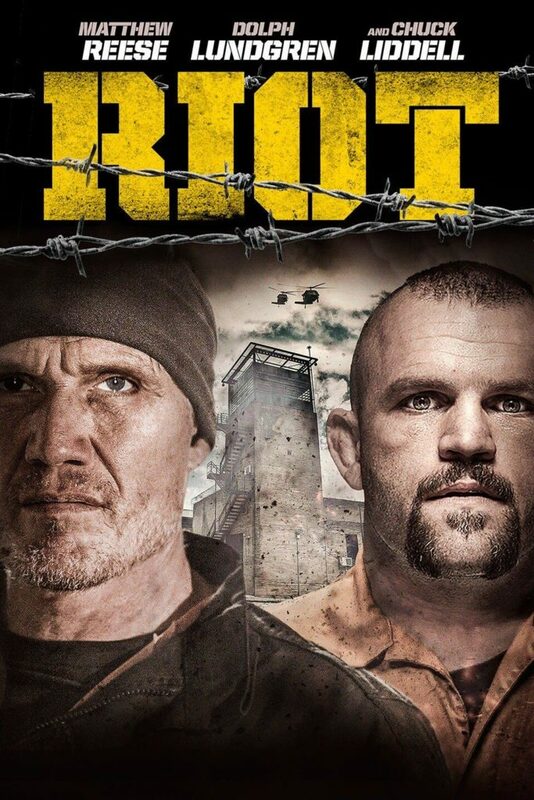 In RIOT Chuck Liddell plays the antagonist, Balam a crime overlord who runs the movies prison and controls the police force; a bit like how a dictator would. The movies protagonist Jack Stone is played by Matthew Reese, Stone gets himself purposefully arrested in a botched bank robbery so that he can try to take out Balam within the prison, there’s some scenes of this movie that are genuinely good, then there’s others which induce a cringe overdose but overall an ok movie which I would recommend if you’re into stupid, dumb action movies. I giggled for quite some time whilst watching this trailer. I loved it so much I actually ordered the DVD for £6 on Amazon. The movie reeks of excellence, from the carefully knitted story to the finessed action set pieces I just couldn’t turn it down. The movie stars martial arts kingpin and the inventor of the front kick; Steven “Sensei” Seagal & arguably the best MMA fighter ever George St.Pierre, what a combination. 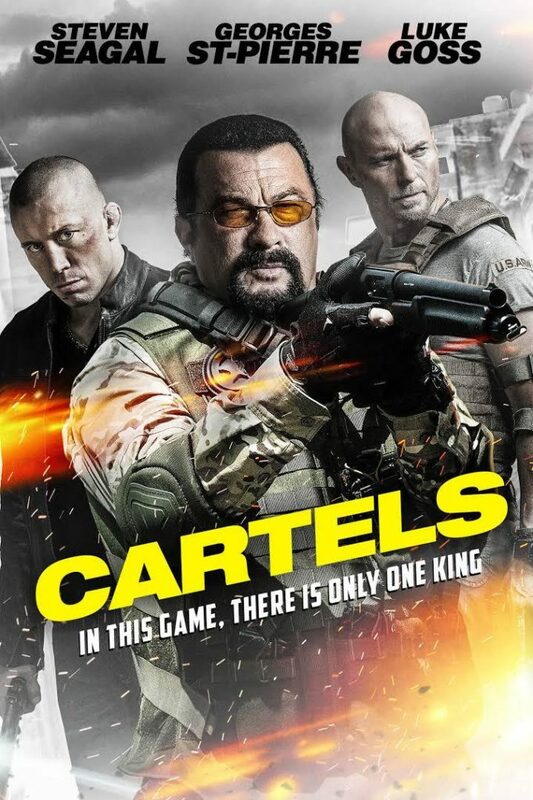 The movie is about Steven Seagal who plays the role of Agent Harrison a US soldier who alongside US Marshal Jensen must protect a cartel boss called ‘Salazar’ in an abandoned hotel. GSP plays the villain known as ‘Sinclaire’ and is a feared deadly assassin & member of the European cartel who has been sent to kill Salazar. Cartels manages to rack up a 3.9/10 on IMDB. With only a 4.5/10 on IMDB; Beatdown is maybe one of the most criminally underrated films on this list. The film stars Rudy Youngblood who plays Brandon; a popular street fighter who flees his local city when he runs out of money, hence forcing gangsters to kill his brother in an act of retribution. In his new town, Brandon begins fighting in the local underground street circuit to get enough money to make ends meet. It’s here where he meets Drake Colby, an MMA champion and local legend; played by Michael Bisping. The pair partner up and devise a scheme to bring a massive pay day so that Brandon can clear his debts. 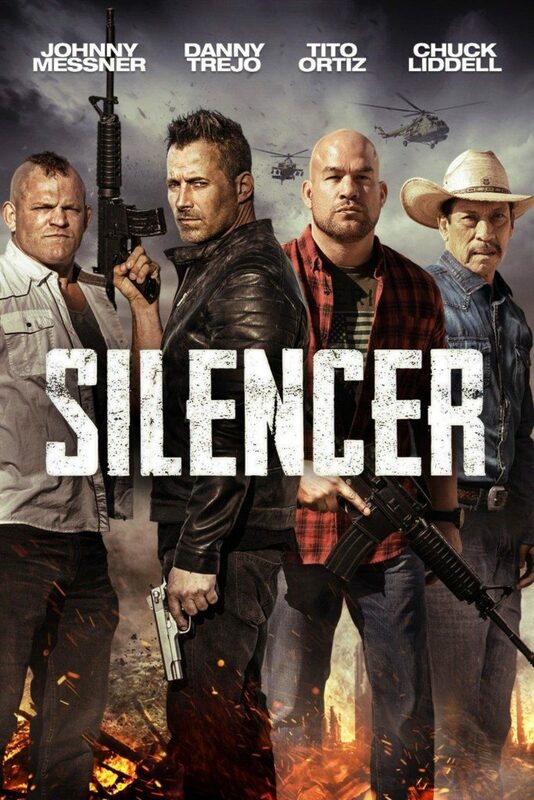 The recently released Silencer stars bitter rivals Chuck Liddell & Tito Ortiz. Danny Trejo plays the part of a retired assassin who must reawaken his killing abilities to wage a one-man war against his former employers. So far, this movie hasn’t had any reviews on IMDB but based on the trailer it looks to be an instant cult classic. Rolling in with a petty 2.7/10 on IMDB, Never Surrender follows the story of Diego played by Hector Echavarria who is essentially an MMA world champion who tempted by money, is lured into fighting on the underground scene by a lofty promoter. Things go awry for Diego and must fight for his life and never surrender! The movie features appearances from some of the UFC’s biggest stars like GSP, BJ Penn, Anderson Silva & Rampage Jackson who all either fight Diego along his path or help him to make him a better fighter. Scoring a 3.7/10 on IMDB, The Eliminator has a hunger games esque plot. 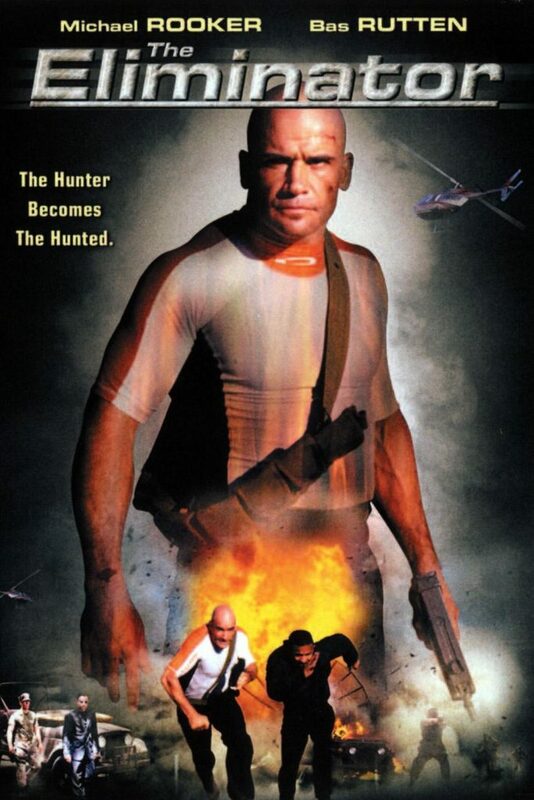 The movie follows Dakota Varley portrayed by Bas Rutten, Varley is a former LAPD officer who goes boat racing. All hell breaks loose at the boat race and Varley finds himself kidnapped on a marooned island, where he is informed that he and five other contestants are on the island and they must compete to survive against a group of hunters on the island. The final person to survive is declared the winner and will receive a $10,000,000 cash prize. Sound stupid? It is. The A-Team is a ridiculously underrated and relatively fun movie. 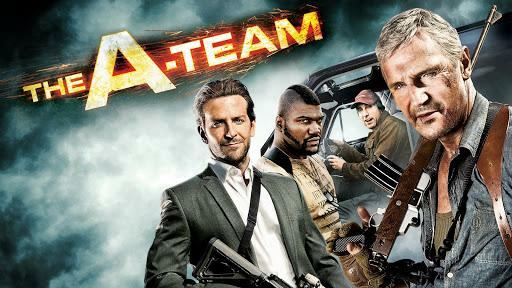 In short the A-Team is about a group of highly trained elite operatives working together to clear their names before they’re killed. It even has a stellar cast with Rampage Jackson playing the part of B.A Baracus to absolute perfection & Liam Neeson playing Hannibal Smith the leader of the team. The A-Team is definitely worthy of a watch with a 6.8/10 on IMDB. Dragon eyes is set in the city of St.Jude; a town riddled with drug dealers, criminals & corrupt cops which has all turned the once bustling city into an urban hellhole. This all changes when Hong; played by Cung Le arrives. Hong has a vision to fix St.Jude and his vision paired up with his fighting skills sets him on a course to save the city from itself. 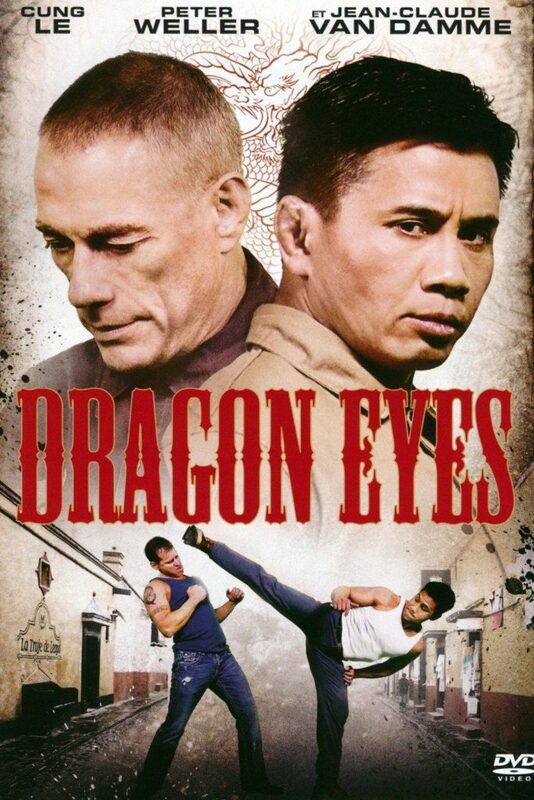 With a 4.5/10 on IMDB, Dragon eyes is one of the least hated films on this list.